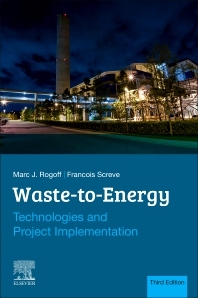 Waste-to-Energy: Technologies and Project Implementation, Third Edition covers the programs and technologies that are available for converting traditionally landfilled solid wastes into energy through waste-to-energy projects. It includes coverage of the latest technologies and practical engineering challenges, along with an exploration of the economic and regulatory context for the development of WTE. In addition to technology itself, the book explores implementation concepts, waste feedstock characterization and flow control. It also delves into some of the key issues surrounding the implementation of waste-to-energy systems, such as site selection, regulatory aspects, and financial and economic implications. Professionals working on planning and implementing waste-to-energy systems will find the book’s practical approach and strong coverage of technical aspects a big help to their initiatives. This is a must-have reference for engineers and energy researchers developing and implementing waste-to-energy conversion systems.